The double ended stylus is perfect for creating the rounded edges inside and outside of little nostrils, ears, and even the eyes of sculpted babies. The two ends are different sizes for maximum usability. 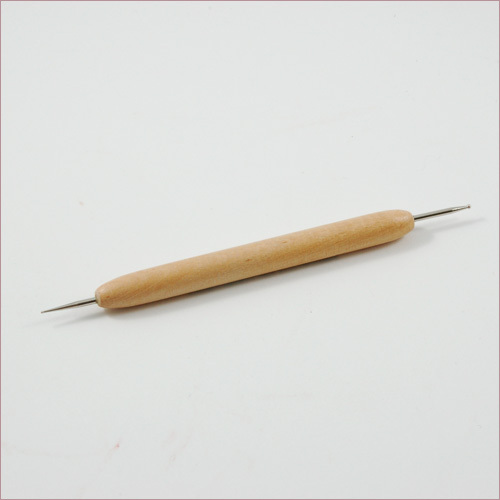 This tool is used in the Sculpting 6” Babies DVD.